Yay Fall! 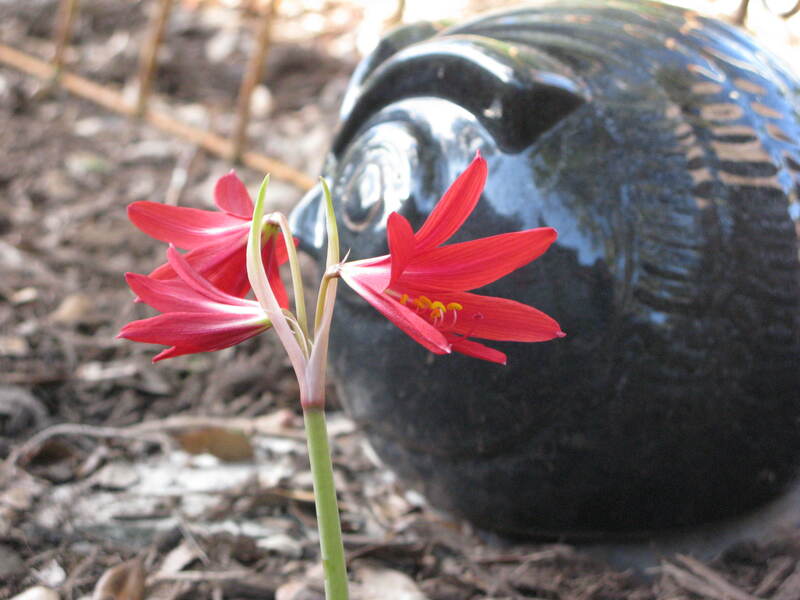 I’ve been noticing ox-blood lilies coming up everywhere this year, even in places where I don’t remember planting them. Very cool. Laura, I’m so glad to have met you. I love reading about your veggie garden and the chickens. We have been fortunate not to have lost any birds yet in the two years we’ve had them (knock on wood). I’ll be curious to know more about your holiday turkeys. Thanks Roberta! It was great meeting you as well. I look forward to seeing you at future go-gos.